If you’re an iPhone owner with [insert carrier here] and happen to constantly find yourself raising your phone to the heavens in search of cell reception in certain areas (i.e. the building you work in, even your home; a specific location that you spend plenty of time at and need cell service), then you’re in luck. 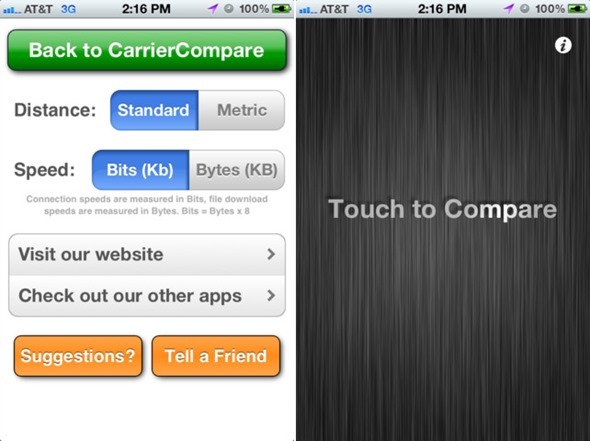 A new app called CarrierCompare plans to help people find the best iPhone carrier for them, at least based on cell reception in your precise location. Basically, you can just fire up the app and get an at-a-glance view of the official iPhone carriers, their reception strength, response time, and speed, all at your exact location. That’s why this app is just absolutely brilliant. Whether you live in a rural area or a more developed town or city, you’ll undeniably find certain spots that unfortunately fall within holes of your carrier’s coverage spectrum. And, if you’re unlucky, one of those spots will be a place where cell reception is crucial. That being said, you’d probably want to switch to a more suitable carrier, and this is seemingly the perfect app to scout out which carriers fulfill your cell reception needs. Gone are the days of unreliable reception guesstimates from fellow iPhone-owners of different carriers, or, more obsessively, having your friends stand at the very spots where you need reception and taking notes of their carrier and signal strength. 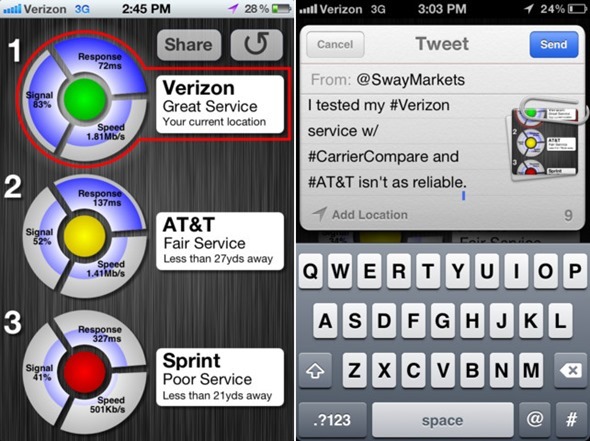 Interestingly enough, much to the likely chagrin of carriers, the app also has a social sharing element, where you can tweet about which carriers are the best – and worst – where you’re standing. While the app certainly seems cool to use, I wonder, what exactly is happening with this app? When you run it, what does it ping to determine the information it displays? Before fully endorsing it as the app to use for this purpose, I would like to learn more about how it works to retrieve this information so I can get a better idea of how accurate it is. Unfortunately, the iOS App Store is host to plenty of useless apps, so you can never be too sure. But, if we assume for a moment that this app does work as described, I have a feeling that carriers aren’t too happy. Mobile carriers carry out surveys and gather telemetric data to learn just how well their own – and their rivals’ – networks perform. However, the results of these more detailed case studies are never officially released. 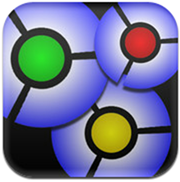 Check out our iPhone Apps Gallery and iPad Apps Gallery to explore more apps for your iPhone and iPad and iPod touch device.